St. Patrick's day centerpieces will be the focal point for each of your table settings. 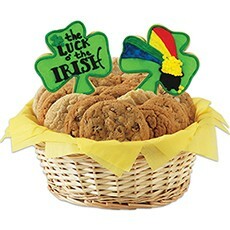 Share the Luck o' the Irish" this St. Patrick's Day with a decorative arrangement of shamrocks.- This item is priced as a 2 cookie. Other sizes are available.